Where can I do soil test in Nigeria? How long does it take a baby cricket to reach adult size? Are quail Eggs really medicinal? I’ve heard and read about so many claims of 100s of diseases quail eggs can cure, but are all these really true or just snake oil? Can Shell-less Eggs Be Eaten? Anyone knows any wormer you can give to laying birds without having to throw their eggs away? Best Time to Give Lasota to Chicks? Some give at day old but some say it’s not good. So which one do I take? Weakness in chicks may be due to transport stress, bad management, illness and a bunch of other reasons. A weak chick will often not eat or drink and there are several ways to help them recover. Let’s look at them. Maintain Optimal Temperature: The temperature under the brooder heater should be 95oF (35oC). Weak chicks may not have the strength to find the warmest spot by themselves. So pick them and place them under the brooder. Also make sure that there is no draught. If there is draught, the chicks will move away from its path as shown in the image below. Check for Pasting: Pasting occurs when dry droppings seals the chicks vent and prevent it from passing out droppings. This condition has to be treated immediately. You have to constantly check your chicks for any sign of pasting. To remove pasting, first use a warm, wet towel to soak it before removing. The chick must not get too cold during the process else the pasting will reoccur. Give Sugar Solution: If the weak chick is free from the 2 problems already discussed, try giving it few drops of sugar solution. The sugar solution will give the weak chick a boost of energy and hopefully, it will start to eat and drink. But note that you shouldn’t give sugar solution for a long time as it can cause diarrhea, which could cause pasting. Give Yogurt and Boiled Egg: If the weak chick can eat and drink, then consider giving it warmed, plain yogurt and possibly boiled egg mixed in feed. Again, don’t give these for a long time. Other Things to Do: If the weak chick is being pecked by others, separate it using wire mesh so that it can still see other chicks (flock animals like chicks need company). Keep it comfortable by providing food, water and warmth. You can also add multivitamins in their drinking water. If you suspect that the chick is sick, it will be better if you call a vet to check it out. This decision can help save the others from impending sickness. You can produce maggots from fibrous vegetable material and poultry droppings. You’ll need something like a tank with a capacity of one cubic metre (1m3). Fill it with water until the water level is about 15cm from the top. Then dried stalks of maize, amaranth, groundnut, soya and other legumes are soaked in the water and some poultry droppings are added. Flies will come and lay their eggs in the soaked material. After five to seven days, the eggs will hatched and larvae would have attended a large enough size. Beyond 7 days, the maggots will develop into adult flies. You must cover the tank to protect the eggs from intense sunlight. If you don’t, up to 50 percent of the eggs will die. You can produce maggots this way, dry them and use it to formulate feed for various animals. Another mtd is described here: http://www.farmersjoint.com/thread-301.html. I've tried it out! I read that duckweeds can be fed to pigs. I think this will be a very cheap source of protein to the pigs, especially if you dry it. Duckweed grows very fast - it can double its weight in less than 2 days under the right condition. I wonder if you know anybody utilizing duckweed for any animal. To make fermented feed for animals like chickens, you place the feed in a bucket and cover it with water. Leave it for at least 2 days and you get a fermented feed. You have to make sure the feed is completely covered with water at all time, else it will spoil. Some people online said they get good result with fermented feeds. What I’ve read range from less smelly droppings, improve digestion and intestinal health, increase egg production and egg weight, stronger shells and improved growth. The good thing about it is that it is easy to make. Large commercial farms don’t use it not because it is not beneficial, but because they don’t have the necessary equipment to handle wet feed. Their costly feed equipment were designed to handle dry feed. But for small holder farmers with fewer than a thousand birds or so, you can still make fermented feed for your chickens! I’ll be doing it for my next batch of chicks. This is a very good thing to do during the dry season. In case you don’t know, mulching means covering the soil with something to prevent the bad effect of intense sunlight on the soil. Intense sunlight evaporates water and makes it unavailable for plants. This increases the cost of irrigation also. The sun can also kill a lot of beneficial microorganisms in the soil. You can mulch with organic materials like cut grasses, leaves and other plant materials. But if you don’t have access to them in large quantity, you can use nylon. It may be somehow costly, but you can reuse them a number of times – depending on the quality. I’ve not tried this before, but from my little research they said it works and so I’ll test it later. If anyone has experience about this, please share. Least I forget, mulching also suppress weed growth, so you save time and money. It is pathetic to see how farmers will do all the work but end up selling at a ridiculous price. How to we stop this trend? How Will You Control Snakes? Areas with large expanse of agricultural land are always remote areas where there’s likely to be snakes and other God-knows-what creatures. What measure will you put in place to control snakes? And those areas are not that close to hospitals! If you have rabbits, can you show us a picture and tell us one or two thing about them? I’ve read that mushroom farming is quite lucrative. Is anybody here into it? Please give us some tips. The End of Battery Cage System? According to a May 2011 report by the humane society of the United State, titles “An HSUS Report: Food Safety and Cage Egg Production”, States in the US have begun legislating against cage egg production and dozens of major U.S. food retailers, restaurant chains, foodservice providers etc. are switching to cage-free eggs. Extensive scientific evidence strongly suggests this trend will improve food safety. All sixteen scientific studies published in the last five years comparing Salmonella contamination between caged and cage-free operations found that those confining hens in cages had higher rates of Salmonella, the leading cause of food poisoning related death in the United States. This has led prominent consumer advocacy organizations, such as the Center for Food Safety, to oppose the use of cages to confine egg-laying hens. What’s your thoughts about this? Battery cage has made work so easy! Broilers are fast-growing birds and this can put a strain on not only their heart, but also their legs. A common leg defect is spraddle leg. This is a situation whereby the feet tendons are weak, causing the legs to splay outward. Spraddle legs can also be as a result of vitamin/calcium deficiency or leg injury which may result when chicks are raised on slippery surfaces like newspaper. Broilers are fast-growing birds and this can put a strain on not only their heart, but also their legs. A common leg defect is spraddle leg, also called splayed leg. This is a situation whereby the feet tendons are weak, the affected chick is unable to stand and its legs will be spread out to the left and right. In milder cases, the chick may be able to stand and walk in a too-wide stance with difficulty. 1. Vitamin & Minerals Deficiency: Without enough nutrients to develop strong muscles and bones, splayed legs might occur. Deficiency in vit D3 and calcium can cause the problem. To avoid this, add a few drops of cod liver oil to the chick water once a week for up to 5 weeks. Be sure not to add too much as this may result in runny stools. Alternatively, feed them only balanced feed. 2. Leg injury: This may occur when chicks are raised on slippery surfaces like newspaper. 3. 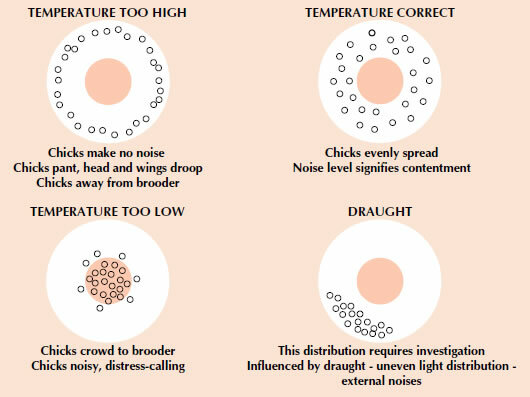 Incubation Temperature: It can occur if incubation is not done at the correct temperature or if there is wide temperature fluctuation. It is easy to treat if you notice it at the early stage and you can do it yourself. You can do this by splinting the legs with tape, rubber band, band-aid etc. The pictures below will help. After splinting, the chicks will be able to walk with the splint after trying for some time. After 2 or 3 days, the chicks can be able to walk without the splint. Catfish farmers normally raise their fish until they attain a weight of 0.8kg or more before they sell. But in mélange farming, catfish are raised to 300-500g (for 2.5-3 months) before they’re sold either fresh or smoked. 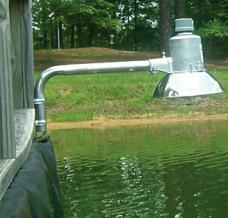 This method is highly profitable because at such a young age, catfish will grow faster while eating less feed. It would be far more profitable if you hatch your own fish than when you buy them. •	You can sell them fresh or smoked to market women that sell fish. They’ll buy in bulk and no packaging is required. •	You can sell them smoked to shops/malls or in offices like the banks, government institutions etc. You’ll get ready customers if it is well packaged. Giving honor to whom honor is due: I got this idea from a forum friend called Robonski on Nairaland. From his posts and threads I see him as an experience fish farmer. If you have specific questions about this topic, you can contact him for help.